LOADED WITH VALUE! Comes equipped with: Amg Performance Exhaust System, Black Fabric Headliner, Black with Red Stitching, Mb-Tex/Dinamica Upholstery, Led Headlamps, Natural Grain Black Ash Wood & Aluminum Trim, Natural Grain Black Ash Wood/Aluminum Door Trim, Panorama Roof, Polar White, Saddle Brown/Black, Leather Upholstery, Smartphone Integration Package, Wheels: 20 Amg Multi-Spoke. This Mercedes-Benz GLC also includes Air Conditioning, Clock, Climate Control, Tachometer, Dual Zone Climate Control, Cruise Control, Homelink System, Privacy Glass/Tinted Windows, Power Steering, Telescoping Steering Wheel, Steering Radio Controls, Power Mirrors, Lthr. Steering Wheel, Driver Airbag, Passenger Airbag, Intermittent Wipers, Side Airbags, Rear Defogger, Security System, AM/FM, Anti-Theft, CD Player, Satellite Radio, Bluetooth®, Sport Seats, Rear Wipers, Center Arm Rest, Remote Trunk Lid, Vanity Mirrors, Heated Mirrors, Rear Fog Lamps, Child Proof Door Locks, Daytime Running Lights, Reverse Camera, Side Curtain Airbags, Roll Stability Control, Power Lift Gate, Tire Pressure Monitor, Carpeted Floor Mats, Overhead Console, Aux. Audio Input, Front Heated Seats, HD Radio. Air Conditioning, Climate Control, Dual Zone Climate Control, Cruise Control, Tinted Windows, Power Steering, Power Mirrors, Leather Steering Wheel, Clock, Tachometer, Homelink System, Telescoping Steering Wheel, Steering Wheel Radio Controls, Driver Airbag, Passenger Airbag, Side Airbags, Security System, Rear Defogger, Intermittent Wipers, AM/FM, CD Player, Anti-Theft, Aux. Audio Input, Bluetooth®, Carpeted Floor Mats, Center Arm Rest, Child Proof Door Locks, Daytime Running Lights, Front Heated Seats, Heated Mirrors, Overhead Console, Power Lift Gate, Rear Fog Lamps, Rear Wipers, Remote Trunk Lid, Reverse Camera, Roll Stability Control, Side Curtain Airbags, Sport Seats, Tire Pressure Monitor, Vanity Mirrors -LOADED WITH VALUE! Comes equipped with: Amg Performance Exhaust System, Black Fabric Headliner, Black with Red Stitching, Mb-Tex/Dinamica Upholstery, Led Headlamps, Natural Grain Black Ash Wood & Aluminum Trim, Natural Grain Black Ash Wood/Aluminum Door Trim, Panorama Roof, Polar White, Saddle Brown/Black, Leather Upholstery, Smartphone Integration Package, Wheels: 20 Amg Multi-Spoke. LOADED WITH VALUE! Comes equipped with: Amg Carbon Fiber Trim, Amg Night Package, Black Fabric Headliner, Black with Red Stitching, Mb-Tex/Dinamica Upholstery, Brushed Aluminum Running Boards, Burmester Surround Sound System, Led Headlamps, Multimedia Package, Panorama Roof, Polar White, Saddle Brown/Black, Leather Upholstery, Wheels: 20 Amg Multi-Spoke with Black Accents. This Mercedes-Benz GLC also includes Air Conditioning, Clock, Climate Control, Tachometer, Dual Zone Climate Control, Cruise Control, Homelink System, Privacy Glass/Tinted Windows, Power Steering, Telescoping Steering Wheel, Steering Radio Controls, Power Mirrors, Lthr. Steering Wheel, Driver Airbag, Passenger Airbag, Intermittent Wipers, Side Airbags, Rear Defogger, Security System, AM/FM, Anti-Theft, CD Player, Satellite Radio, Bluetooth®, Sport Seats, Rear Wipers, Center Arm Rest, Remote Trunk Lid, Vanity Mirrors, Heated Mirrors, Rear Fog Lamps, Child Proof Door Locks, Daytime Running Lights, Reverse Camera, Side Curtain Airbags, Roll Stability Control, Power Lift Gate, Tire Pressure Monitor, Carpeted Floor Mats, Overhead Console, Aux. Audio Input, Front Heated Seats, HD Radio. Air Conditioning, Climate Control, Dual Zone Climate Control, Cruise Control, Tinted Windows, Power Steering, Power Mirrors, Leather Steering Wheel, Clock, Tachometer, Homelink System, Telescoping Steering Wheel, Steering Wheel Radio Controls, Driver Airbag, Passenger Airbag, Side Airbags, Security System, Rear Defogger, Intermittent Wipers, AM/FM, CD Player, Anti-Theft, Aux. Audio Input, Bluetooth®, Carpeted Floor Mats, Center Arm Rest, Child Proof Door Locks, Daytime Running Lights, Front Heated Seats, Heated Mirrors, Overhead Console, Power Lift Gate, Rear Fog Lamps, Rear Wipers, Remote Trunk Lid, Reverse Camera, Roll Stability Control, Side Curtain Airbags, Sport Seats, Tire Pressure Monitor, Vanity Mirrors -LOADED WITH VALUE! Comes equipped with: Amg Carbon Fiber Trim, Amg Night Package, Black Fabric Headliner, Black with Red Stitching, Mb-Tex/Dinamica Upholstery, Brushed Aluminum Running Boards, Burmester Surround Sound System, Led Headlamps, Multimedia Package, Panorama Roof, Polar White, Saddle Brown/Black, Leather Upholstery, Wheels: 20 Amg Multi-Spoke with Black Accents. LOADED WITH VALUE! Comes equipped with: Black Fabric Headliner, Black with Red Stitching, Leather Upholstery, Dark Brown Linden Wood Trim, Heated Steering Wheel, Illuminated Star, Red Seatbelts, Saddle Brown, Leather Upholstery, Selenite Grey Metallic, Smartphone Integration Package, Wheels: 20 Amg Multi-Spoke. This Mercedes-Benz GLC also includes Air Conditioning, Clock, Climate Control, Tachometer, Dual Zone Climate Control, Cruise Control, Homelink System, Privacy Glass/Tinted Windows, Power Steering, Telescoping Steering Wheel, Steering Radio Controls, Power Mirrors, Lthr. Steering Wheel, Driver Airbag, Passenger Airbag, Intermittent Wipers, Side Airbags, Rear Defogger, Security System, AM/FM, Anti-Theft, CD Player, Satellite Radio, Bluetooth®, Sport Seats, Rear Wipers, Center Arm Rest, Remote Trunk Lid, Vanity Mirrors, Heated Mirrors, Rear Fog Lamps, Child Proof Door Locks, Daytime Running Lights, Reverse Camera, Side Curtain Airbags, Roll Stability Control, Power Lift Gate, Tire Pressure Monitor, Carpeted Floor Mats, Overhead Console, Aux. Audio Input, Front Heated Seats, HD Radio. Air Conditioning, Climate Control, Dual Zone Climate Control, Cruise Control, Tinted Windows, Power Steering, Power Mirrors, Leather Steering Wheel, Clock, Tachometer, Homelink System, Telescoping Steering Wheel, Steering Wheel Radio Controls, Driver Airbag, Passenger Airbag, Side Airbags, Security System, Rear Defogger, Intermittent Wipers, AM/FM, CD Player, Anti-Theft, Aux. Audio Input, Bluetooth®, Carpeted Floor Mats, Center Arm Rest, Child Proof Door Locks, Daytime Running Lights, Front Heated Seats, Heated Mirrors, Overhead Console, Power Lift Gate, Rear Fog Lamps, Rear Wipers, Remote Trunk Lid, Reverse Camera, Roll Stability Control, Side Curtain Airbags, Sport Seats, Tire Pressure Monitor, Vanity Mirrors -LOADED WITH VALUE! 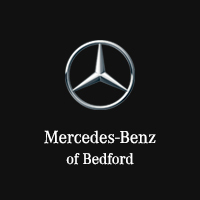 Comes equipped with: Black Fabric Headliner, Black with Red Stitching, Leather Upholstery, Dark Brown Linden Wood Trim, Heated Steering Wheel, Illuminated Star, Red Seatbelts, Saddle Brown, Leather Upholstery, Selenite Grey Metallic, Smartphone Integration Package, Wheels: 20 Amg Multi-Spoke. Comes equipped with: Amg Carbon Fiber Trim, Amg Night Package, Amg Performance Exhaust System, Black Fabric Headliner, Black with Red Stitching, Leather Upholstery, Burmester Surround Sound System, Designo Diamond White Metallic, Exterior Lighting Package, Head-Up Display with Amg-Specific Content, Heated & Ventilated Front Seats, Heated Rear Seats, Multimedia Package, Panorama Roof, Wheels: 20 Amg Multi-Spoke with Black Accents. Comes equipped with: Black Fabric Headliner, Black, Mb-Tex Upholstery, Blind Spot Assist, Heated Front Seats, Illuminated Star, Natural Grain Brown Ash Wood Trim, Premium Package, Roof Spoiler, Saddle Brown/Black, Leather Upholstery, Selenite Grey Metallic, Smartphone Integration Package, Wheel Locks, Wheels: 19 5-Spoke. LOADED WITH VALUE! Comes equipped with: Advanced Lighting Package, Ambient Lighting, Amg Led Crest Projector, Amg Night Package, Amg Performance Exhaust System, Amg Performance Seats, Amg Performance Steering Wheel In Nappa, Amg Track Pace App, Black, Designo Platinum White Pearl/Blk Nappa Leather, Head-Up Display, Multimedia Package, Wheels: 21 Amg Twin 5-Spoke, Black. This Mercedes-Benz GLC also includes Air Conditioning, Clock, Climate Control, Tachometer, Dual Zone Climate Control, Cruise Control, Homelink System, Privacy Glass/Tinted Windows, Power Steering, Telescoping Steering Wheel, Steering Radio Controls, Sunroof, Power Mirrors, Moonroof, Lthr. Steering Wheel, Driver Airbag, Passenger Airbag, Intermittent Wipers, Side Airbags, Rear Defogger, Security System, AM/FM, Anti-Theft, CD Player, Surround Sound, Bluetooth®, Sport Seats, Rear Wipers, Center Arm Rest, Remote Trunk Lid, Vanity Mirrors, Heated Mirrors, Rear Fog Lamps, Child Proof Door Locks, Daytime Running Lights, Reverse Camera, Side Curtain Airbags, Roll Stability Control, Power Lift Gate, Tire Pressure Monitor, Carpeted Floor Mats, Overhead Console, Aux. Audio Input, Front Heated Seats. Air Conditioning, Climate Control, Dual Zone Climate Control, Cruise Control, Tinted Windows, Power Steering, Power Mirrors, Leather Steering Wheel, Clock, Tachometer, Homelink System, Telescoping Steering Wheel, Steering Wheel Radio Controls, Sunroof, Moonroof, Driver Airbag, Passenger Airbag, Side Airbags, Security System, Rear Defogger, Intermittent Wipers, AM/FM, CD Player, Anti-Theft, Aux. Audio Input, Bluetooth®, Carpeted Floor Mats, Center Arm Rest, Child Proof Door Locks, Daytime Running Lights, Front Heated Seats, Heated Mirrors, Overhead Console, Power Lift Gate, Rear Fog Lamps, Rear Wipers, Remote Trunk Lid, Reverse Camera, Roll Stability Control, Side Curtain Airbags, Sport Seats, Tire Pressure Monitor, Vanity Mirrors -LOADED WITH VALUE! Comes equipped with: Advanced Lighting Package, Ambient Lighting, Amg Led Crest Projector, Amg Night Package, Amg Performance Exhaust System, Amg Performance Seats, Amg Performance Steering Wheel In Nappa, Amg Track Pace App, Black, Designo Platinum White Pearl/Blk Nappa Leather, Head-Up Display, Multimedia Package, Wheels: 21 Amg Twin 5-Spoke, Black. LOADED WITH VALUE! Comes equipped with: Air Conditioning, Bluetooth®, Front Heated Seats. This Mercedes-Benz GLC also includes Clock, Climate Control, Tachometer, Dual Zone Climate Control, Cruise Control, Homelink System, Privacy Glass/Tinted Windows, Power Steering, Telescoping Steering Wheel, Steering Radio Controls, Power Mirrors, Lthr. Steering Wheel, Driver Airbag, Passenger Airbag, Intermittent Wipers, Side Airbags, Rear Defogger, Security System, AM/FM, Anti-Theft, CD Player, Rear Wipers, Center Arm Rest, Remote Trunk Lid, Vanity Mirrors, Heated Mirrors, Rear Fog Lamps, Child Proof Door Locks, Daytime Running Lights, Reverse Camera, Side Curtain Airbags, Roll Stability Control, Power Lift Gate, Tire Pressure Monitor, Carpeted Floor Mats, Overhead Console, Aux. Audio Input, HD Radio. Air Conditioning, Climate Control, Dual Zone Climate Control, Cruise Control, Tinted Windows, Power Steering, Power Mirrors, Leather Steering Wheel, Clock, Tachometer, Homelink System, Telescoping Steering Wheel, Steering Wheel Radio Controls, Driver Airbag, Passenger Airbag, Side Airbags, Security System, Rear Defogger, Intermittent Wipers, AM/FM, CD Player, Anti-Theft, Aux. Audio Input, Bluetooth®, Carpeted Floor Mats, Center Arm Rest, Child Proof Door Locks, Daytime Running Lights, Front Heated Seats, Heated Mirrors, Overhead Console, Power Lift Gate, Rear Fog Lamps, Rear Wipers, Remote Trunk Lid, Reverse Camera, Roll Stability Control, Side Curtain Airbags, Tire Pressure Monitor, Vanity Mirrors -LOADED WITH VALUE! Comes equipped with: Air Conditioning, Bluetooth®, Front Heated Seats. Comes equipped with: Blind Spot Assist, Heated Front Seats, Illuminated Star, Natural Grain Brown Ash Wood Trim, Polar White, Porcelain Fabric Headliner, Premium Package, Rear Chrome Trim, Rear Seat Entertainment & Comfort Adapter, Saddle Brown/Black, Leather Upholstery, Silk Beige/Black Mb-Tex, Mb-Tex Upholstery, Smartphone Integration Package, Tires: P235/55r19 All-Season Run-Flat, Wheel Locks, Wheels: 18 5-Spoke (R31). Comes equipped with: Black, Black Mb-Tex, Mb-Tex Upholstery, Blind Spot Assist, Crystal Grey Fabric Headliner, Heated Front Seats, Heated Steering Wheel, Illuminated Star, Natural Grain Black Ash Wood Trim, Natural Grain Black Ash Wood/Aluminum Door Trim, Panorama Sunroof, Premium Package, Rear Chrome Trim, Rear Seat Entertainment & Comfort Adapter, Saddle Brown/Black, Leather Upholstery, Smartphone Integration Package, Static Led Headlamps, Tires: P235/55r19 All-Season Run-Flat, Wheel Locks, Wheels: 18 5-Spoke (R31). Comes equipped with: Black, Blind Spot Assist, Burmester Surround Sound System, Heated Front Seats, Heated Steering Wheel, Led Logo Projectors, Natural Grain Brown Ash Wood Trim, Panorama Sunroof, Porcelain Fabric Headliner, Premium Package, Rear Chrome Trim, Saddle Brown/Black, Leather Upholstery, Silk Beige/Black Mb-Tex, Mb-Tex Upholstery, Smartphone Integration Package, Static Led Headlamps, Tires: P235/55r19 All-Season Run-Flat, Wheels: 18 5-Spoke (R31). Comes equipped with: Blind Spot Assist, Heated Front Seats, Heated Steering Wheel, Led Logo Projectors, Natural Grain Brown Ash Wood Trim, Panorama Sunroof, Polar White, Porcelain Fabric Headliner, Premium Package, Saddle Brown/Black, Leather Upholstery, Silk Beige/Black Mb-Tex, Mb-Tex Upholstery, Smartphone Integration Package, Static Led Headlamps, Tires: P235/55r19 All-Season Run-Flat, Wheels: 18 5-Spoke (R31). LOADED WITH VALUE! Comes equipped with: Black, Blind Spot Assist, Burmester Surround Sound System, Heated Front Seats, Heated Steering Wheel, Led Logo Projectors, Natural Grain Brown Ash Wood Trim, Panorama Sunroof, Porcelain Fabric Headliner, Premium Package, Rear Chrome Trim, Saddle Brown/Black, Leather Upholstery, Silk Beige/Black Mb-Tex, Mb-Tex Upholstery, Smartphone Integration Package, Static Led Headlamps, Tires: P235/55r19 All-Season Run-Flat, Wheels: 18 5-Spoke (R31). This Mercedes-Benz GLC also includes Air Conditioning, Clock, Climate Control, Tachometer, Dual Zone Climate Control, Cruise Control, Homelink System, Privacy Glass/Tinted Windows, Power Steering, Telescoping Steering Wheel, Steering Radio Controls, Power Mirrors, Lthr. Steering Wheel, Driver Airbag, Passenger Airbag, Intermittent Wipers, Side Airbags, Rear Defogger, Security System, AM/FM, Anti-Theft, CD Player, Bluetooth®, Rear Wipers, Center Arm Rest, Remote Trunk Lid, Vanity Mirrors, Heated Mirrors, Rear Fog Lamps, Child Proof Door Locks, Daytime Running Lights, Reverse Camera, Side Curtain Airbags, Roll Stability Control, Power Lift Gate, Tire Pressure Monitor, Carpeted Floor Mats, Overhead Console, Aux. Audio Input, Front Heated Seats, HD Radio. Air Conditioning, Climate Control, Dual Zone Climate Control, Cruise Control, Tinted Windows, Power Steering, Power Mirrors, Leather Steering Wheel, Clock, Tachometer, Homelink System, Telescoping Steering Wheel, Steering Wheel Radio Controls, Driver Airbag, Passenger Airbag, Side Airbags, Security System, Rear Defogger, Intermittent Wipers, AM/FM, CD Player, Anti-Theft, Aux. Audio Input, Bluetooth®, Carpeted Floor Mats, Center Arm Rest, Child Proof Door Locks, Daytime Running Lights, Front Heated Seats, Heated Mirrors, Overhead Console, Power Lift Gate, Rear Fog Lamps, Rear Wipers, Remote Trunk Lid, Reverse Camera, Roll Stability Control, Side Curtain Airbags, Tire Pressure Monitor, Vanity Mirrors -LOADED WITH VALUE! LOADED WITH VALUE! Comes equipped with: Blind Spot Assist, Heated Front Seats, Led Logo Projectors, Natural Grain Brown Ash Wood Trim, Panorama Sunroof, Polar White, Porcelain Fabric Headliner, Premium Package, Saddle Brown/Black, Leather Upholstery, Silk Beige/Black Mb-Tex, Mb-Tex Upholstery, Smartphone Integration Package, Static Led Headlamps, Tires: P235/55r19 All-Season Run-Flat, Wheels: 18 5-Spoke (R31). This Mercedes-Benz GLC also includes Air Conditioning, Clock, Climate Control, Tachometer, Dual Zone Climate Control, Cruise Control, Homelink System, Privacy Glass/Tinted Windows, Power Steering, Telescoping Steering Wheel, Steering Radio Controls, Power Mirrors, Lthr. Steering Wheel, Driver Airbag, Passenger Airbag, Intermittent Wipers, Side Airbags, Rear Defogger, Security System, AM/FM, Anti-Theft, CD Player, Bluetooth®, Rear Wipers, Center Arm Rest, Remote Trunk Lid, Vanity Mirrors, Heated Mirrors, Rear Fog Lamps, Child Proof Door Locks, Daytime Running Lights, Reverse Camera, Side Curtain Airbags, Roll Stability Control, Power Lift Gate, Tire Pressure Monitor, Carpeted Floor Mats, Overhead Console, Aux. Audio Input, Front Heated Seats, HD Radio. Air Conditioning, Climate Control, Dual Zone Climate Control, Cruise Control, Tinted Windows, Power Steering, Power Mirrors, Leather Steering Wheel, Clock, Tachometer, Homelink System, Telescoping Steering Wheel, Steering Wheel Radio Controls, Driver Airbag, Passenger Airbag, Side Airbags, Security System, Rear Defogger, Intermittent Wipers, AM/FM, CD Player, Anti-Theft, Aux. Audio Input, Bluetooth®, Carpeted Floor Mats, Center Arm Rest, Child Proof Door Locks, Daytime Running Lights, Front Heated Seats, Heated Mirrors, Overhead Console, Power Lift Gate, Rear Fog Lamps, Rear Wipers, Remote Trunk Lid, Reverse Camera, Roll Stability Control, Side Curtain Airbags, Tire Pressure Monitor, Vanity Mirrors -LOADED WITH VALUE! Comes equipped with: Blind Spot Assist, Heated Front Seats, Led Logo Projectors, Natural Grain Brown Ash Wood Trim, Panorama Sunroof, Polar White, Porcelain Fabric Headliner, Premium Package, Saddle Brown/Black, Leather Upholstery, Silk Beige/Black Mb-Tex, Mb-Tex Upholstery, Smartphone Integration Package, Static Led Headlamps, Tires: P235/55r19 All-Season Run-Flat, Wheels: 18 5-Spoke (R31). Comes equipped with: Ambient Lighting (3 Colors), Amg Line, Black Fabric Headliner, Black Mb-Tex, Mb-Tex Upholstery, Blind Spot Assist, Brushed Aluminum Running Boards, Burmester Surround Sound System, Heated Front Seats, Heated Steering Wheel, Illuminated Door Sills, Illuminated Star, Led Logo Projectors, Natural Grain Black Ash Wood Trim, Natural Grain Black Ash Wood/Aluminum Door Trim, Panorama Sunroof, Polar White, Premium Package, Rear Chrome Trim, Saddle Brown/Black, Leather Upholstery, Static Led Headlamps, Tires: P235/55r19 All-Season Run-Flat, Wheels: 19 Amg Twin 5-Spoke with Grey Accents. LOADED WITH VALUE! Comes equipped with: Ambient Lighting (3 Colors), Black, Black Fabric Headliner, Black Mb-Tex, Mb-Tex Upholstery, Blind Spot Assist, Burmester Surround Sound System, Heated Front Seats, Illuminated Door Sills, Led Logo Projectors, Natural Grain Black Ash Wood Trim, Natural Grain Black Ash Wood/Aluminum Door Trim, Panorama Sunroof, Premium Package, Rear Seat Entertainment & Comfort Adapter, Roof Spoiler, Saddle Brown/Black, Leather Upholstery, Smartphone Integration Package, Tires: P235/55r19 All-Season Run-Flat, Wheel Locks, Wheels: 19 5-Spoke. This Mercedes-Benz GLC also includes Air Conditioning, Clock, Climate Control, Tachometer, Dual Zone Climate Control, Cruise Control, Homelink System, Privacy Glass/Tinted Windows, Power Steering, Telescoping Steering Wheel, Steering Radio Controls, Power Mirrors, Lthr. Steering Wheel, Driver Airbag, Passenger Airbag, Intermittent Wipers, Side Airbags, Rear Defogger, Security System, AM/FM, Anti-Theft, CD Player, Bluetooth®, Rear Wipers, Center Arm Rest, Remote Trunk Lid, Vanity Mirrors, Heated Mirrors, Rear Fog Lamps, Child Proof Door Locks, Daytime Running Lights, Reverse Camera, Side Curtain Airbags, Roll Stability Control, Power Lift Gate, Tire Pressure Monitor, Carpeted Floor Mats, Overhead Console, Aux. Audio Input, Front Heated Seats, HD Radio. Air Conditioning, Climate Control, Dual Zone Climate Control, Cruise Control, Tinted Windows, Power Steering, Power Mirrors, Leather Steering Wheel, Clock, Tachometer, Homelink System, Telescoping Steering Wheel, Steering Wheel Radio Controls, Driver Airbag, Passenger Airbag, Side Airbags, Security System, Rear Defogger, Intermittent Wipers, AM/FM, CD Player, Anti-Theft, Aux. Audio Input, Bluetooth®, Carpeted Floor Mats, Center Arm Rest, Child Proof Door Locks, Daytime Running Lights, Front Heated Seats, Heated Mirrors, Overhead Console, Power Lift Gate, Rear Fog Lamps, Rear Wipers, Remote Trunk Lid, Reverse Camera, Roll Stability Control, Side Curtain Airbags, Tire Pressure Monitor, Vanity Mirrors -LOADED WITH VALUE! Comes equipped with: Ambient Lighting (3 Colors), Black, Black Fabric Headliner, Black Mb-Tex, Mb-Tex Upholstery, Blind Spot Assist, Burmester Surround Sound System, Heated Front Seats, Illuminated Door Sills, Led Logo Projectors, Natural Grain Black Ash Wood Trim, Natural Grain Black Ash Wood/Aluminum Door Trim, Panorama Sunroof, Premium Package, Rear Seat Entertainment & Comfort Adapter, Roof Spoiler, Saddle Brown/Black, Leather Upholstery, Smartphone Integration Package, Tires: P235/55r19 All-Season Run-Flat, Wheel Locks, Wheels: 19 5-Spoke.